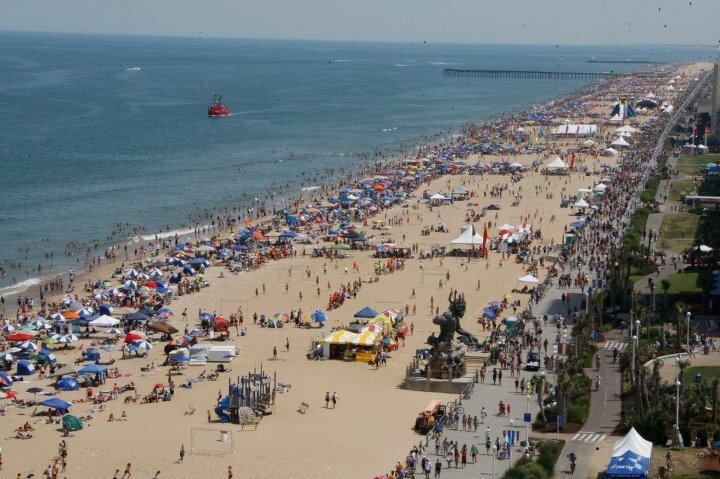 Sand Soccer Championships ( North American ) - A sporting event not to be missed as thousands converge on Virginia beach for this Annual Event. This is a sporting and beach spectacle not to be missed. Players and spectators come to the beach daily for this awesome sporting display of skill, endurance. and strategy. Amazing soccer talent on the beach ..... come see. You have to see it to believe it, THOUSANDS of spectators and returning sand soccer "veteran's", or perhaps a newcomer totaling in the ten's of thousands of sand players from around the world. There are also plenty of side venues ranging from sand hockey tournaments to beach wrestling PLUS special guest stars.